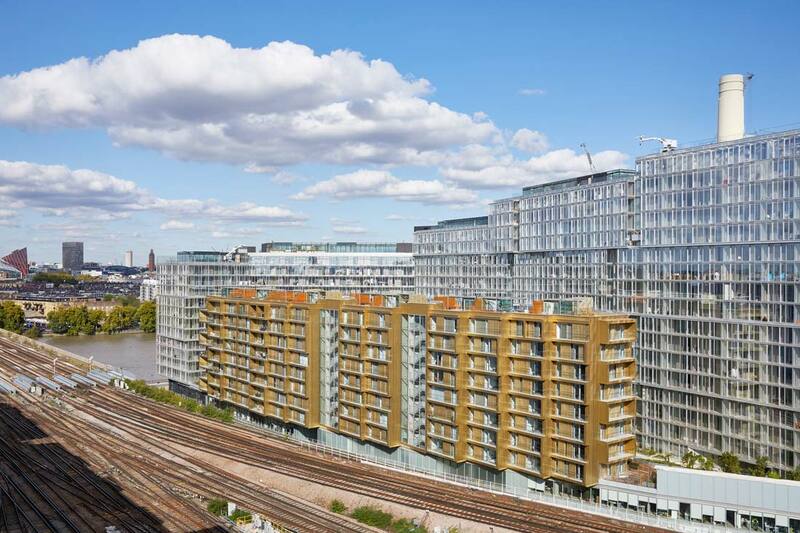 Faraday House is a bold and imaginative residential building that is part of the high-profile Battersea redevelopment. dRMM’s ability to think laterally and go beyond expectation led us to win an design competition for part of the first phase. 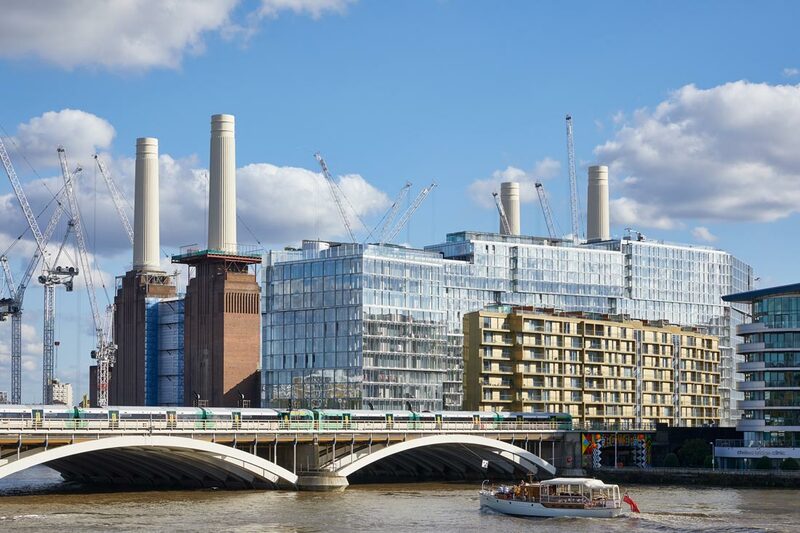 The eight phase, mixed-use development includes a new town centre and business quarter served by a Northern Line extension, at the heart of which sits the restoration of the Grade II listed Power Station. 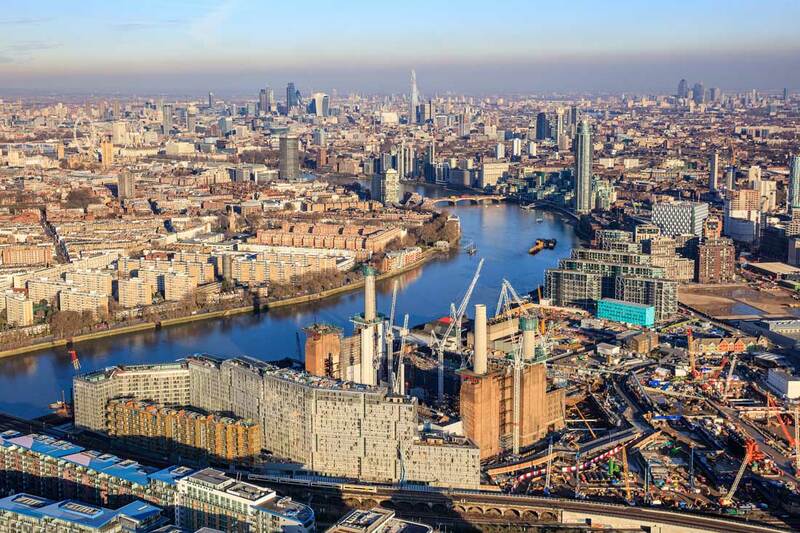 We were asked to design a residential apartment building adjacent to one of the main railway lines into London. This difficult western edge of the site could be perceived as less attractive and lower profile. 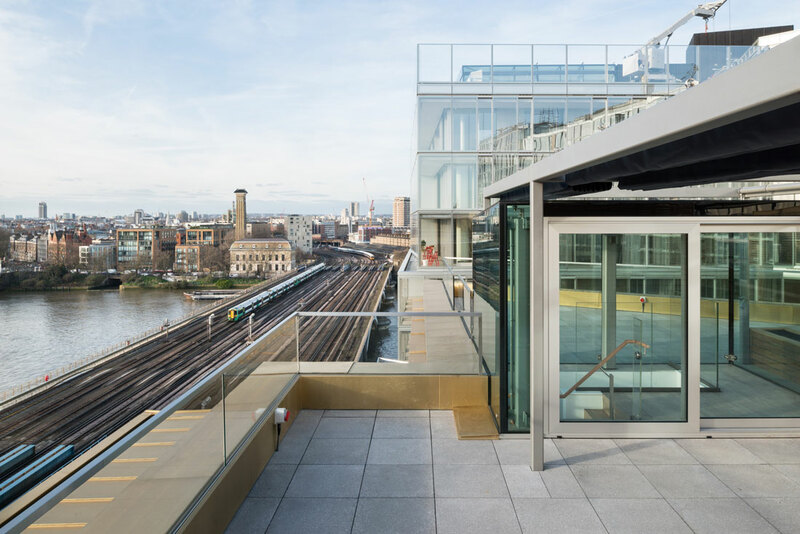 Seeing the flow of trains and the River Thames as iconic pieces of the London experience, we instead designed a building that embraces its position and provides a playful marker on the way into Victoria station. Faraday House is formed from a series of stacked apartments that shift in response to the curve of the tracks, generating an interesting form of projecting and recessed boxes. The 8 storey building is clad in copper alloy; a bright, folded metal that reflects a hand-worked aesthetic and gives the building a striking identity. Each of the 113 apartments are designed with a commitment to the end user’s lived experience. They are arranged in small clusters of three per floor, allowing residents to meet and for neighbourliness to flourish, while maintaining an efficient NIA:GIA ratio. 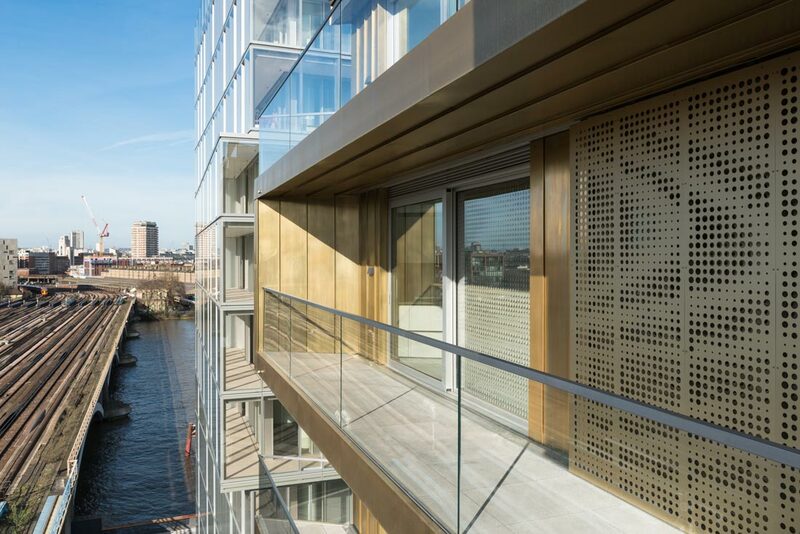 Space and light are amplified; views of the River Thames and landscaped courtyard are framed with full height windows, whilst private terrace balconies and roof-top gardens provide outdoor space. 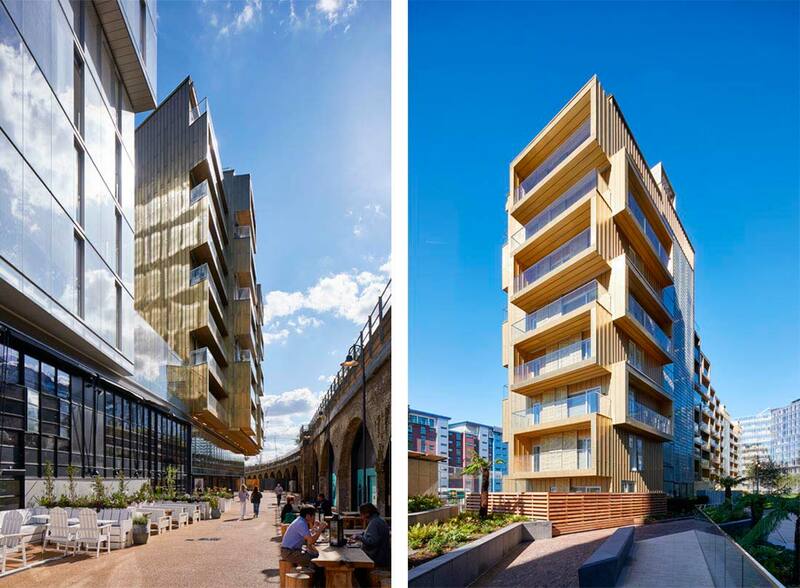 Faraday House is a high-quality, high-profile building with identity, wit and imagination. The result is a better quality of life for residents and a striking composition for visitors as they travel into London Victoria station.